Thinking of taking a short break or mid-week break with the one you love? If so you will want to find a romantic retreat where you and your partner can have a loved up time and spend quality time together. Certain UK cities offer that special romantic atmosphere and allow you to enjoy staying in a holiday home where you have more room and privacy yet also offer the convenience of restaurants, bars and cafes as well as plenty to see and do, easily accessible close by. Equally appealing though when it comes to romantic mid-week breaks can be time in the countryside where you may find quaint tea shops, friendly country inns and fantastic walks. Whatever floats your boat we hope our ideas on some of Britain’s most romantic places will inspire you when choosing your next holiday destination with that air of romance. The city of Edinburgh with its fascinating history, castle and fantastic atmosphere, is a great place to take a break for 2 or 3 nights with the one you love. Enjoy dining out in some of the city’s most romantic restaurants and discovering some of the city’s best tourist attractions together, hand in hand. 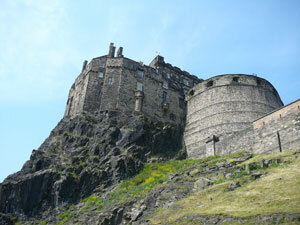 With some iconic viewpoints available in this city, the views from the Castle Ramparts are particularly impressive. This is a city that should capture your heart. The town of Haworth and the surrounding area, also known as Bronte Country, was made famous by the novel of Wuthering Heights which focuses on the dramatic love story of Cathy and Heathcliff and the beautiful landscape of the surrounding Yorkshire moors. Those who love this novel by Emily Bronte should adore following in her footsteps and discovering the landscape and places that so inspired the author. Places to visit within an hour’s drive of Haworth include the stunning Yorkshire Dales National Park, the Nidderdale Area of Outstanding Natural Beauty and the historical spa town of Harrogate. Explore and discover some of the best of Yorkshire, hand in hand with the one you love. For those who adore the appeal of natural beauty and the magnificence of nature, a romantic short break in Northumberland’s Castle Country should be ideal. Spend nights cuddled up at your home from home and days out visiting the many historical castles in the area, walking along cobbled streets and visiting tea shops and cafes. 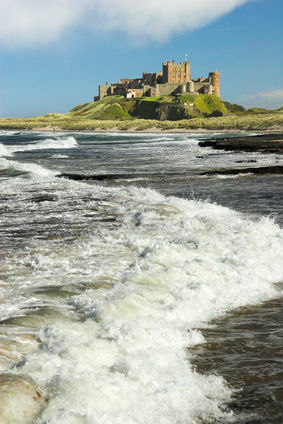 Many of Northumberland’s castles, including those in a ruinous state sit proudly in dreamy atmospheric locations such as perched high on cliffy outcrops or saddled high above beaches. Some of the most iconic of castles in this county include Bamburgh Castle and Lindisfarne Castle, visit to find out which appeals to you the most. Mid-week breaks can be a particularly good choice when it comes to romantic breaks, as accommodation is often cheaper during the week than at weekends. Negotiate direct with owners or agencies for best deals. Even if you have just 2 or 3 nights to spare, often this is enough to sample some of the best that an area has to offer. Once you know where you want to go, search for mid week break offers. 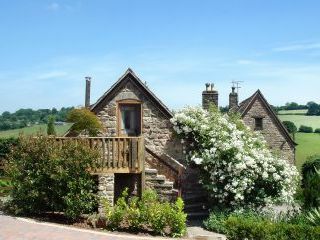 Find a range of good quality romantic cottages to sleep 2 for your next romantic break. Look out for holiday homes with four-poster beds, canopied beds or hot tubs for those extra special romantic touches. This entry was posted in Holiday Ideas, Tips and Advice on July 30, 2015 by +YvonneChristina.